Change things up with these side-trips from Austin: National Museum of the Pacific War (in Fredericksburg), New Braunfels Conservation Society (in New Braunfels) and San Antonio (Natural Bridge Caverns, The Alamo, & more). 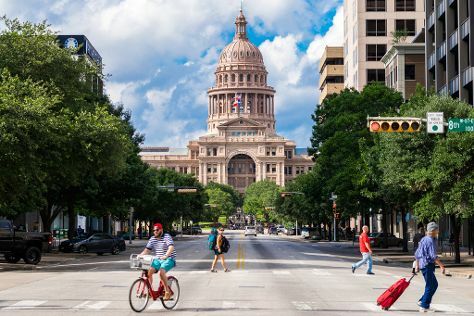 There's lots more to do: get a sense of history and politics at Texas State Capitol, admire the striking features of The Driskill, test your problem-solving skills at The Escape Game Austin, and take an in-depth tour of LBJ Presidential Library. To find more things to do, ratings, traveler tips, and more tourist information, read Austin trip builder . In December, daily temperatures in Austin can reach 64°F, while at night they dip to 45°F. Cap off your sightseeing on the 8th (Sat) early enough to travel back home.